Isaac Newton. Scientist and Mathematician, 1642 - 1727 Isaac Newton was born on December 25, 1642 in Woolsthorpe, near Grantham in Lincolnshire, England. 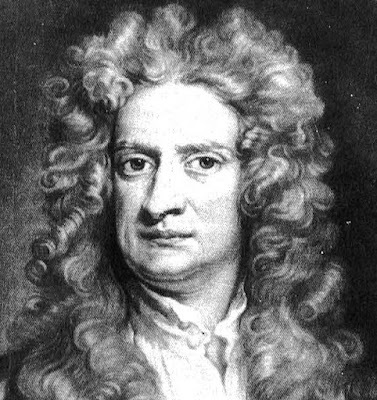 Newton is clearl y the most influential scientist who ever lived. His accomplishments in mathematics, optics, and physics laid the foundations for modern science and revolutionized the world. In 1661 to 1696, Isaac Newton was educated in Cambridge, during this period he produced the bulk of his work on mathematics. he was elected a Fellow of Trinity College in 1667, and Lucasian Professor of Mathematics in 1669. In 1696 he was appointed Master of the Royal Mint, and moved to London, where he resided until his death. More details about Sir Isaac Newton. Click Here.